China’s top planning agency pledged on Tuesday to curb local government debt while the central bank said it will keep monetary policy stable in 2014 as it pushes financial reforms. The promises come as China’s policymakers are looking to put the economy on a more sustainable footing. The National Development and Reform Commission (NDRC) said it would curb the “disorderly expansion” of local debt, remarks that came after the National Audit Office said local governments had run up total debt of 17.9 trillion yuan ($2.95 trillion) as at the end of June. Leaders are looking for steady growth in the economy as they push through one of the country’s most ambitious reform agendas, aiming to transform the economy into one driven by consumers rather than the traditional investment and exports. But policymakers faces a series of challenges, including weak demand for China’s goods overseas, over-capacity in industries at home and structural problems as well as the rise of debt at all levels of government. The NDRC said that, overall, debt levels were under control, but it would take measures to keep debt down, including allowing local government financial companies to issue bonds to replace some existing short-term debt that has high interest rates, and encouraging private capital into infrastructure projects. It will also step up spot checks on local government financing vehicles. 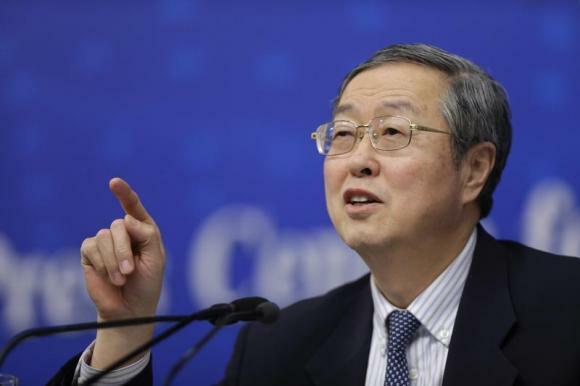 In a New Year message on the bank’s website, http://www.pbc.gov.cn, People’s Bank of China Governor Zhou Xiaochuan said monetary policy would be more pre-emptive and coordinated next year. “We will vigorously promote financial reform, accelerate financial innovation to maintain financial stability, improve financial services and management to support the economic development and adjust the economic structure,” Zhou said. The central bank has not found its part in the reform process easy, having tried to cut the cash in the system to rein in bank lending in a move that caused credit crunches in June and December. The central bank said separately on Tuesday it had added 70 billion yuan ($11.6 billion) worth of three-day bills into China’s money markets on November 18 via short-term liquidity operations. In a further announcement, it said that as part of its ongoing interest-rate reforms, qualified banks would be able to allow their branches to issue certificates of deposits in future. It is hoped most of the 74 people on the Academician Shokalskiy will be picked up by the Chinese helicopter, leaving as few as possible onboard. Earlier today a third icebreaker failed to reach the boat due to poor visibility following a blizzard. The failure of the Australian icebreaker comes after a Chinese icebreaker failed to reach it yesterday. A French vessel is also reported to have failed to have broken through during the past few days. The Akademik Shokalskiy has been stuck in the Antarctic Ice since Christmas Day, prompting a major rescue operation coordinated by the Australian Maritime Safety Authority (AMSA). The research ship’s passengers include scientists and tourists, many of them Australian, and what the Russian Foreign Ministry said were 22 Russian crew members. The stranded Chinese research vessel is being used by the Australasian Antarctic Expedition. It was forced to turn back after making it to within 11 km of the research ship. The ship became trapped when ice pushed by strong winds surrounded the vessel, according to an Australian professor who helped organize the trip. “We’re surrounded by sea ice, we just can’t get through,” Chris Turney, a professor of climate change at the University of New South Wales said in a video posted on YouTube. “Everyone is safe, the vessel is perfectly safe. But we can’t make a passage forward,” he said in the video posted on Thursday. 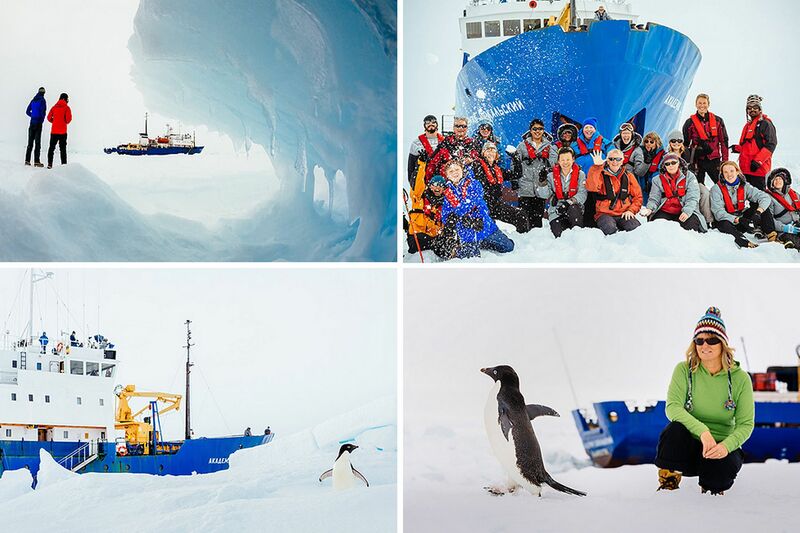 The ship departed New Zealand on November 28 on a privately funded expedition which commemorates the 100th anniversary of an Antarctic journey led by famed Australian explorer Douglas Mawson. China said on Monday that its leaders will not meet Japanese Prime Minister Shinzo Abe after his visit to a shrine seen by critics as a symbol of Tokyo’s wartime aggression, underscoring the deteriorating ties between Asia’s two biggest economies. Abe had repeated his hopes for talks with Beijing last week, when he visited the Yasukuni shrine where Japanese leaders convicted as war criminals by an Allied tribunal after World War Two are honored along with those who died in battle. The visit infuriated China and South Korea, both of which were occupied by Japanese forces until the end of the war, and prompted concern from the United States about rising tensions between the North Asian neighbors. Abe said then that relations with China and South Korea were important and he hoped “for an opportunity to explain to China and South Korea that strengthening ties would be in the national interest”. Chinese Foreign Ministry spokesman Qin Gang said at a daily news briefing that “Abe has himself shut the door on talks with Chinese leaders”. “Since assuming office, Abe has miscalculated on Sino-Japan ties, and made mistake after mistake, especially visiting the Yasukuni Shrine which houses ‘Class A’ war criminals. These people are fascists, the Nazis of Asia,” he said. Qin called on Abe to “admit his mistakes to the Chinese government and people”. South Korea said it would not now take part in talks on shared defense and intelligence agreements Seoul and Tokyo had been planning to hold next month. “I hope there would be no acts next year which destroy trust between two countries or worsen the public sentiment by digging up the wounds of the past,” President Park Geun-hye said in a meeting with aides, reported by the Yonhap news agency. 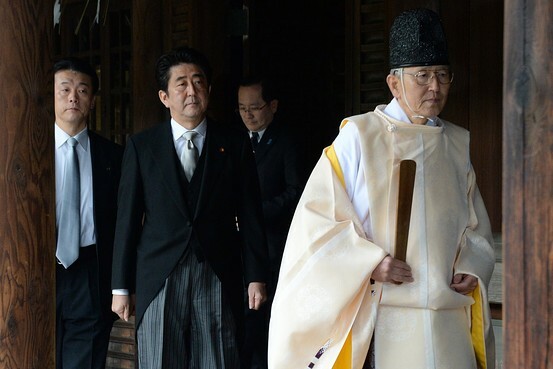 It was the first visit to Yasukuni by a serving Japanese prime minister since 2006. Ties between Japan and China were already precarious due to a simmering row over ownership of a group of uninhabited islands in the East China Sea. China has said it is willing to talk to Japan about the issue, but has accused Abe of not being serious about wanting to resolve the dispute. Former Prime Minister Junichiro Koizumi’s annual visits to Yasukuni during his 2001-2006 tenure were a major factor in a chill in ties between China and Japan. Abe, who succeeded Koizumi in 2006, repaired frayed ties with China then with a summit meeting, but has since said he regretted not visiting the shrine during his first 2006-2007 term. Abe has called for dialogue with China since returning to power a year ago, but Beijing had shown no inclination to respond to those overtures even before the latest Yasukuni controversy. Chinese President Xi Jinping and Abe did meet briefly on two occasions this year – at an Asia-Pacific Economic Cooperation (APEC) meeting on the Indonesian island of Bali in October and on the fringes of the G20 summit in St. Petersburg in September. Beijing will host APEC next year. Chinese Premier Li Keqiang has said that the government will keep liquidity at an appropriate level in 2014 to maintain the stability of financial markets and the broader economy. He made the remarks during a recent inspection tour to the northern Chinese city of Tianjin, according to an account published on the website of the State Council, China’s cabinet, late on Sunday. The comments came after cash crunches in China’s money markets in June and December, which many market observers believe were engineered by the central bank, which refused to aid the market with large cash injections to help banks cope with elevated cash demand at the end of each quarter. Market watchers interpreted the People’s Bank of China’s (PBOC) passive approach as short-term interest rates spiked as an effort to help curb non-stop growth in housing prices and a message to banks to de-leverage their balance sheets. Some have perceived an unofficial shift to tighter monetary policy. “We will stick to the prudent monetary policy, keep appropriate liquidity, realize reasonable growth in credit and total social financing and keep prices largely stable,” Li was quoted as saying in the statement. “We have the conditions to keep the economy to operate in a steady style and maintain the stability of the financial markets,” Li said without elaborating.,” Li said without elaborating. President Xi Jinping and China’s other new leaders, who took power in March, have said they want to adjust the country’s policy priorities to value growth quality over quantity, sacrificing some growth in exchange for balanced growth and protection against financial risks. China’s economic growth is likely to come in at 7.6 percent this year, according to a cabinet report cited by the official Xinhua news agency last week, just above the government’s target of 7.5 percent and slightly below last year’s 7.7 percent. Sources at top government think tanks told Reuters that for 2014, China will likely use the same 7.5 percent growth target it set for this year. 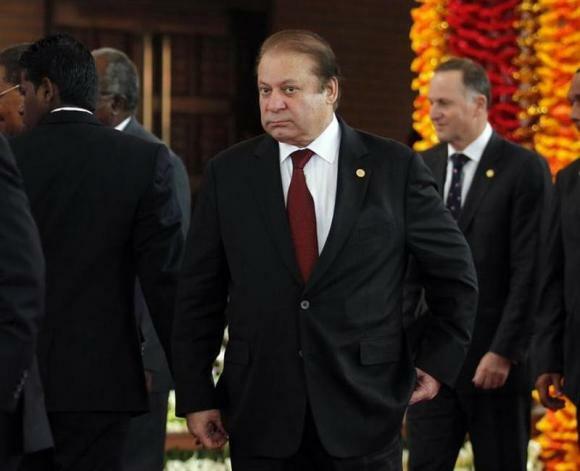 Pakistan’s Prime Minister Nawaz Sharif arrives for the official photograph of the Commonwealth heads of states during the opening ceremony of the Commonwealth Heads of Government Meeting (CHOGM) in Colombo November 15, 2013. Li regards the six wars as wars for reunification, but only the war with Taiwan was really for reunification while the wars with Russia and Mongolia are for recovery of lost territories and those with Japan, India and Vietnam are to resolve territorial disputes. France and Germany fought for nearly a century for the disputed Alsace-Lorraine area, which was even one of the causes of world wars. Neither France nor Germany are so stupid as to fight on. They finally decided to set up the EU to put an end to the dispute forever. First, the most important issue–the reunification with Taiwan. Reunification by force will bring China no benefit as Taiwan has little resources and no cheap labor. The damage done by the war will make China not only lose a substantial market but incur the heavy burden of feeding 20 million Taiwan people and maintaining their high living standards. Moreover, Taiwan is an island full of hills favorable for guerilla wars. The financial burden and the guerilla wars will make the Chinese regime unpopular and even collapse. Russia, India, Japan and Vietnam will make every effort to recover the territories taken by China. There will be no end of wars with them. China will get nothing from those recovered barren territories, but will incur lots of expense in defending the recovered territories. Obviously the third alternative battles in the field will not bring any benefit to China. According to Sun Tze’s strategy, even if China wants to get the territories from those countries, China has to strive to be on good terms with all of them while making preparations for a war with one of them so that when it attacks the country selected, other countries will not help that country. That is second best way: subduing the enemy by diplomacy. On the contrary, if China make known that it will fight wars with all those countries, China will be subdued by them due to poor diplomacy as all those countries will unite to fight against China. Chinese leader is certainly not so stupid as to make such diplomatic mistake. On the contrary, they are so wise as to use stratagem to subdue India. More than 2,000 years ago, the State of Jin, one of the most powerful state in northern China often had to unite with some smaller states to resist the invasion by the State of Chu, a rich and powerful state in southern China. Having experienced lots of bitter wars, the State of Jin finally found a stratagem to stop the invasion. It helped Chu’s long-term enemy in the east, the State of Wu, to grow strong and trained Wu’s troops to fight against Chu. A a result, Chu’s troops were always busy fighting against Wu and could no longer invade the north. Similarly, China is now making huge investment to help Pakistan, India’s long-term enemy, develop its economy. There does not seem to be good prospects for return of such huge investment, but it is worth the risk. If China succeeds in helping Pakistan build enough power plants to enable Chinese factories to move to Pakistan. The Chinese will provide lots of employment for Pakistani people and put an end to their poverty. A strong Pakistan will cause India to be anxious to resolve the border issue with China so as to avoid having two strong enemies. China has committed $6.5 billion to finance the construction of a major nuclear power project in Pakistan’s port city of Karachi as it seeks to strengthen ties with its strategic partner, Pakistani officials said. As China’s smog levels crept past record highs in early December, the phone lines at pollution-busting kit maker Broad Group lit up with Chinese customers worried about hazardous pollution levels that have gripped China this year. China’s government is struggling to meet pollution reduction targets and has pledged to spend over 3 trillion yuan ($494 billion) to tackle the problem, creating a growing market for companies that can help boost energy efficiency and lower emissions. “Recently, we haven’t been able to make products fast enough to keep up with demand,” said Hu Jie, a general manager at Broad Group, which makes pollution-related products ranging from hand-held monitors to eco-friendly buildings. Sales roughly doubled this year from 2012, Hu said, without giving details. Pollution problems in China, the world’s second-biggest economy, are by no means new. But heightened public anger – and a growing political will to deal with the issue – has created opportunities for firms with sustainable know-how to earn a slice of China’s clean-technology market, which is set to triple to $555 billion by 2020, according to the U.S. Department of Commerce. Companies like U.S. clean-energy expert Fuel Tech Inc, design engineer WS Atkins Plc and others have seized the opening by boosting staff numbers and clinching contracts. “China has reached a saturation level which people can no longer tolerate,” said Feng An, president and executive director of the U.S.-China Clean Tech Center, which takes U.S. clean technology companies to China to meet potential partners. Pollution cost China’s economy at least 1.1 trillion yuan ($181 billion) in 2010, the environment ministry estimated this year – equal to 2.5 percent of GDP that year. Pollution has been tied to “cancer villages” and reduced life-expectancy. 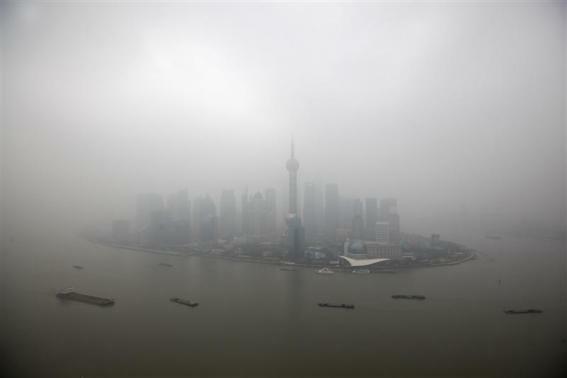 Smog even closed down the major northern city of Harbin in October. Acknowledging public anxiety over the issue, Premier Li Keqiang said in March that China should not sacrifice the environment to pursue economic growth, giving a boost to “green” companies. U.S. environmental engineering company LP Amina, which helps coal power plants reduce emissions by retrofitting burners to make them more efficient, saw its China sales double this year, said the firm’s marketing manager Jamyan Dudka, without providing specific figures. Coal accounts for more than two-thirds of China’s primary energy consumption. China is pushing to reduce nitrogen oxide (NOx) pollutants from power plant emissions and offering subsidies to get firms on board. 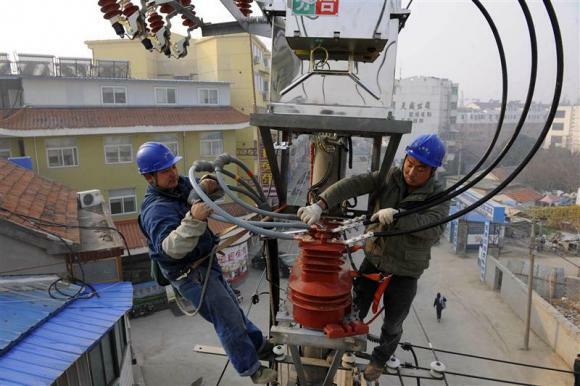 The cost of retrofitting all China’s power plants over a 5-year period is around $11 billion, said Dudka. U.S.-listed Fuel Tech, which also focuses in this area, sees China at the forefront of its business development plans, and has increased its China-based staff to more than 30 people, CEO Doug Bailey said on an analyst call last month. Companies such as UK-listed Atkins and Australian developer Lend Lease Corp Ltd are also leveraging their global expertise in sustainable construction. Atkins is working with local governments to develop sustainable construction guidelines and will partner with two Chinese cities to put them into action. China’s contribution to the company’s 88 million pounds ($144.6 million) in Asia-Pacific revenues increased to 40 percent this year, it said. The region accounts for around 5 percent of global sales. “Unlike Europe and the Americas, which have already been built out, there’s still a huge amount of development going on in China,” said Beijing-based Atkins associate Mark Hewlett. Around 300 million Chinese are expected to move from rural to urban areas over the coming decade as the government pushes ahead with an urbanization drive to lift domestic consumption. Vishnu Amble, Amsterdam-based principal at private equity firm Global Cleantech Capital, said the positive trends had drawn fund managers back to China’s clean-tech market, focusing on energy efficiency, lighting, waste treatment and water. “People have been following China’s clean-tech market lightly the past year or so,” said Amble, whose firm manages around $200 million in assets and has up to a fifth of its 2014 deal pipeline set to come from China. The new high-speed railway between Shenzhen and Xiamen opened yesterday, slicing the journey from an area many Hongkongers call home to the southeast coast from 15 hours to just 3-1/2 hours. The 514km line is also a major breakthrough in connecting the rich, but relatively less accessible area of eastern Guangdong to the rest of the Pearl River Delta, Hong Kong and Fujian province. More than 21.4 million people live in the areas of Chaozhou and Shantou (known collectively as Chaoshan). Many Hongkongers, including Hong Kong’s richest man Li Ka-shing, hail from the area. 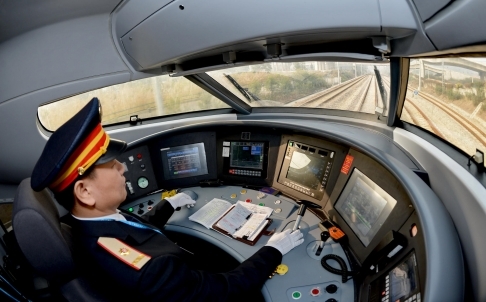 The new train line, with 18 stations, also connects the Pearl River Delta, with a population of 140 million, with Fujian province, with a population of more than 37 million. Guangdong officials said travel from any place in the delta to Fujian would now take less than four hours. 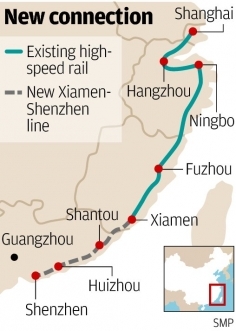 The new line also connects with another high-speed line from Xiamen to Shanghai, linking for the first time the three important economic hubs of the Pearl River Delta, the proposed western Taiwan straits economic zone, and the Yangtze River Delta. Twenty-six trains will depart from Shenzhen daily to different destinations including Xiamen, Shanghai, Nanjing and Hangzhou . Travel time from Shenzhen to Xiamen will be cut from 15 hours to 31/2. Two trains will run daily between Guangzhou and the new Chaoshan station built between Chaozhou and Shantou. Passengers on the first train to Xiamen said ticket prices were competitive. A one-way first-class ticket from Shenzhen cost 181 yuan (HK$229), while a second-class ticket cost 150.50 yuan, cheaper than a coach service (190 yuan) and flying, which usually costs more than 700 yuan. Guo Qianxiang, a Chinese medicine practitioner from Guangzhou, said he saved time and money on his trip. “I work in Guangzhou and go back home to Shantou once a month. In the past, it took at least four hours and more then 1,000 yuan by plane, or six hours and 180 yuan by coach. Today, I would only spend 164 yuan and less than three hours for the trip,” he said. A Fujian tourism bureau official, who was on the train yesterday to promote tourism, said the province was rolling out discounts for hotels in Xiamen in the hope that the new line would bring a 30 per cent rise in the number of tourists from Hong Kong and the Pearl River Delta. Authorities have not provided any official estimates on the project’s cost, but mainland media estimate it at 41.7 billion yuan. “I am looking forward to the opening of the railway. It will save me a lot of money and time on transportation,” said a woman from Zhangzhou city in Fujian, who travels to Hong Kong to shop two or three times a year. However, some passengers complained their ears popped due to a sudden change in air pressure as the train sped through tunnels. The journey goes through 71 tunnels and crosses 159 bridges. Some passengers also complained about insufficient public transport to the new Chaoshan station, which is about 40 minutes drive from both Chaozhou and Shantou cities. China’s railway network now spans more than 100,000km, including 10,000km of high speed lines, as of Saturday, when several new rail links started operations in addition to the Shenzhen-Xiamen line. These include the Xi’an-Baoji high rail, the Chongqing-Lichuan railway, and others in Guangxi .